Agitation is a general term to describe excessive physical movement and verbal activity. 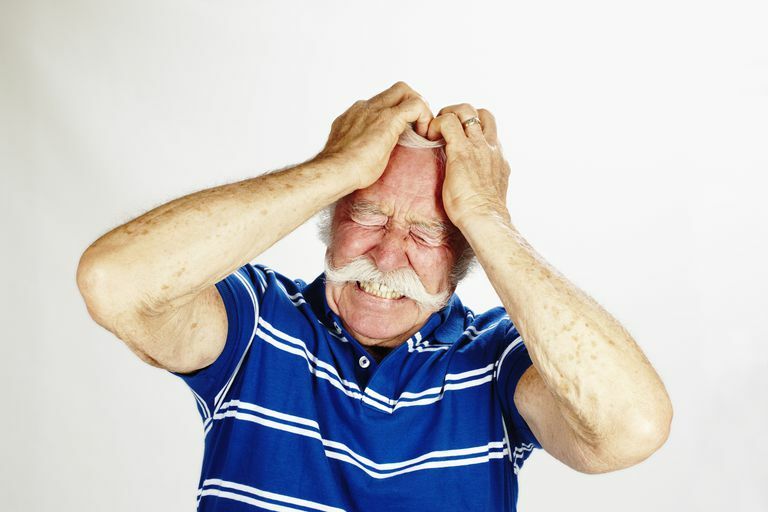 Agitation often develops in the middle stages of Alzheimer's disease and other types of dementia and can include restlessness, pacing, verbal aggression, combativeness, calling out and crying, and wandering. Statistics vary, but some research estimates that as high as 80 percent of people with dementia experience agitation. One study determined that approximately 68 percent of people with dementia who were living in the community experienced excessive agitation. Another study found that among people with dementia who were in nursing home care, approximately 75 percent of them experienced agitation. The cause is the most important factor to consider if you see someone with dementia who is agitated. We know that most behaviors that we may see as challenging in someone with dementia are really an effort to communicate something. You are charged with figuring that "something" out. The cause can range from boredom to pain to a need for exercise. One study found that discomfort was the cause behind many occasions of agitation in nursing home residents with dementia. This was particularly true for agitation including non-aggressive physical behavior (such as restlessness) and for verbal agitation (such as calling out). Your response should be tailored to the particular person with whom you're working. Once you've determined the likely cause, you can choose an appropriate response to that person. It may be as simple as helping the person change positions because he's in pain, or going for a walk with her because she's feeling restless. How you respond to someone who is agitated should depend on which behaviors he is demonstrating, possible reasons he might be agitated, what has worked well in the past when he's been agitated, and his personality, abilities, preferences, and needs. Making sure you've met the needs of someone who is hungry, tired, bored, lonely or in pain is paramount. Remember that the agitation is likely there for a reason, and be certain to meet the need it may be expressing. Both singing and listening to music have been shown to decrease agitation and even improve cognition in persons with dementia. Don't underestimate the importance of physical touch. A little tender loving care goes a long way- research has demonstrated that appropriate physical touch can diminish agitation. Work it out. Physical exercise can help decrease challenging behaviors and improve cognitive ability, among other benefits. Research has shown that animal-assisted therapy can improve mood and nutrition, as well as decrease agitated behaviors in people with dementia. Several research studies have tested whether spending time on teaching caregivers (both family members and professionals) makes a difference in coping with and responding to agitation levels in people who have dementia. Research shows that education for caregivers benefits both the caregiver and the family member with dementia by decreasing caregivers' stress levels and enabling them to respond better to their family member, as well as decreasing the agitation in the person with dementia. The short answer? There are occasionally times when psychotropic medications might be helpful and appropriate, but they should never be the first thing that you try. They also can cause a number of side effects and drug interactions. Many times, a person's agitation can be reduced simply by employing some of the strategies listed above. If you are not able to determine a reason for the agitation and it is causing the person distress (for example, she's experiencing frightening hallucinations or significant anxiety), you can ask the physician if medication might be appropriate. International Journal of Geriatric Psychiatry 2011 Jul;26(7):670-8. Effectiveness of group music intervention against agitated behavior in elderly persons with dementia.